It is a truth universally acknowledged, but little examined, that Telltale's games have issues. 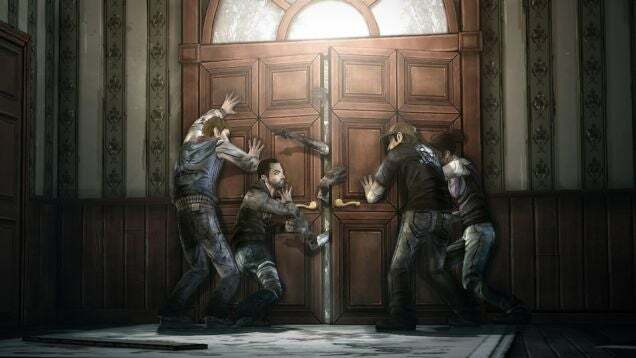 The studio rose to prominence with 2012's Game of the Year-worthy The Walking Dead adventure game. Since then, their games, wonderful in many ways as they may be, have been accompanied by an undercurrent of fan anger. Each subsequent notch in their belt—a good review here, an award nomination there, a new licensing deal over there—has carried with it echoes of unhappy players, people who are upset over buggy games, erased saves, and purchases that won't carry through. 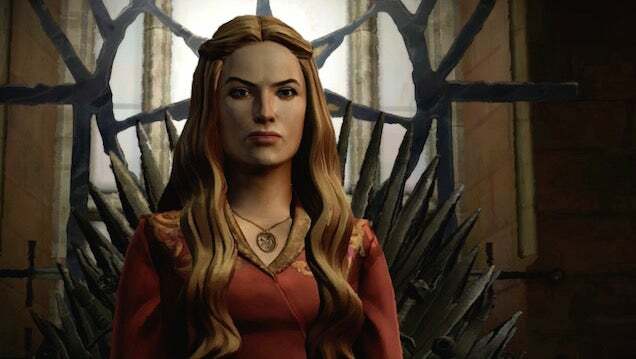 A couple of weeks ago, the second episode of Telltale's high-profile Game of Thrones came out. Its reception followed a now-familiar pattern: On the one hand, I and most other critics in the press played and mostly liked it. On the other hand, there was a growing chorus of indignant fans, upset about several major bugs. For example, many players on Xbox One had found that their choices from the first episode weren't carrying over to the second one. They were forced to replay the entire first episode and re-make their decisions, undoing a significant amount of the reactive magic of the original experience. 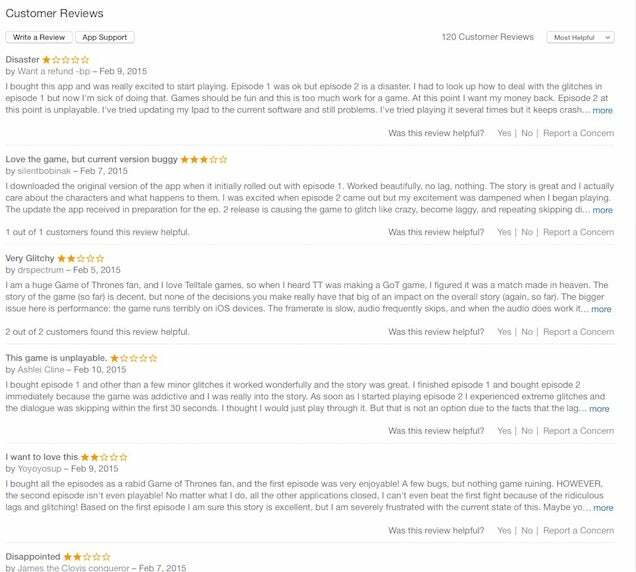 All last week, user reviews on the Game of Thrones app store page were unequivocal: The game was a "disaster," "unplayable," "broken," "buggy," "a mummer's farce." Yet since last week, it's been featured on the App store's Editor's Choice list. There's another sticky post at Telltale's support forums acknowledging the Xbox One save transfer bug, and an additional post last Friday says that they've submitted a patch to Microsoft and that they expect it to be released sometime in the next 7 to 10 days. So: Both episodes were messed up when they came out, one version was mostly fixed about a week later, the other version will (probably) be fixed at some point in the next week or so. That's that, at least for now. But that isn't that, not really. For so long, there's been too sharp a disconnect between what we in the press say about Telltale games and what we hear from players. These games are well-liked by the media and by gamers, and for the most part, deservedly so. They're engrossing, well-written adventures that let us visit worlds we've previously only watched on TV or read about in books. My Kotaku colleagues and I have written many articles praising Telltale's games, and we love to join readers in talking about them. Yet each game is accompanied by an inevitable crowd of people calling foul, people with bugged and broken games who feel ripped off and ignored. Part of the problem is that Telltale's games are released in piecemeal "seasons," and most players only have to spend around $5 to play the first episode. After that, many players will opt to buy the full season up front—usually for around £15 total—since that's a better deal than waiting and buying each episode separately. Thing is, it's usually in later episodes that the problems hit. After years of reading various emails and forum posts reporting problems with various Telltale games—problems that I, usually, have not personally experienced—I decided to look into some of the most widespread issues their games have faced since 2012's The Walking Dead. I headed over to the Telltale Support forums, expecting to find several lengthy threads centred on the most common problems for each game. Instead, I found something a lot messier. In every game's support hub, there are dozens of threads outlining problems with pretty much every version of all of the studio's games. I spent several days last week reading as many as I could. At first, I worried that listing user complaints in an article would feel unfair, like cherry-picking. After all, I was reading the support forum, so of course the majority of the posts would be about problems people were having with the games. Telltale's main forum is filled with happy users, contentedly chatting about the stories and characters in the games. An hour or two of reading later, I had set that worry aside. Telltale's support forums paint a portrait of a publisher that is constantly releasing buggy and even outright broken games, and, unlike most of the other companies with which it competes, one that lacks the resources to meaningfully help or, sometimes, even acknowledge its frustrated users. All games have some technical problems. If I were to visit the support forums of a larger publisher like Ubisoft or EA, I would find plenty of people complaining of problems installing or operating games. The differences, as I see them, are threefold: A) Telltale's games have all had similar problems for years, and each new game brings the same issues, B) Telltale's major bugs tend to be of the catastrophic and game-halting variety, corrupting saves and erasing progress to an extent that would be noteworthy for any publisher, and C) Telltale's support apparatus appears to be limited to a support email address and a single person responding to forum posts as best he can, and as a result many of their players feel ignored or brushed aside. Some of these threads have been successfully resolved, and, to Telltale's credit, even the unresolved ones tend to contain responses from a Telltale rep. With the majority of them, however, it's unclear whether the user in question actually got his or her game working. I can't verify every claim listed here, or anything close to that. I'm taking each anonymous forum poster's word for it. Or rather, I'm allowing that between all of them, they paint a convincing picture, especially when combined with our staff's firsthand experience of Telltale's games. I had intended to go back to 2012 and put together a timeline of complaints, but that proved unnecessary. 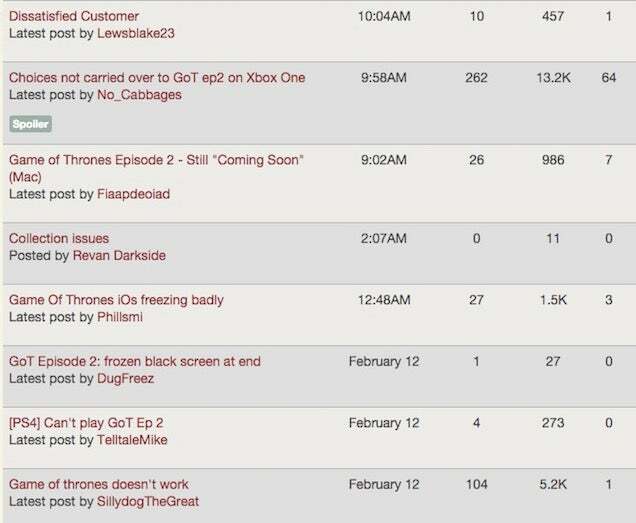 Many of the forum posts I found, whether from 2012's The Walking Dead or 2015's Game of Thrones, were from sometime in the last few months. Go further back and you'll find many, many more. This chronicle is incomplete. I tried to find problems that seemed clear-cut or had resulted in multiple posts or responses, but there are dozens I've left off. If you've had your own troubles, I hope you'll share them below. An interesting follow-up to The Walking Dead, and a game that I didn't love at first, but which grew on me. But what kinds of technical problems did people have with it? For one player, the Xbox 360 version inexplicably kicks over to Spanish mid-conversation. "I don't get it, spanish isn't even an option... in the settings." The second season of The Walking Dead didn't match the highs of the first season, but it still managed an engrossing tale, largely thanks to the smart decision to make young Clementine the protagonist. But did it run all that well for everyone? This new series is currently awaiting its second episode. We liked the premiere a lot more than we were expecting to; turns out, a Borderlands adventure game works better than you'd think. But was it smooth sailing on the technical front? The game has significant issues on Nexus 7 Android devices. Telltale's rep says the current "workaround" is to "play on another Android device if possible." The first episode of Game of Thrones was better than we'd hoped; the second episode was a bit heavy on plot but still good. 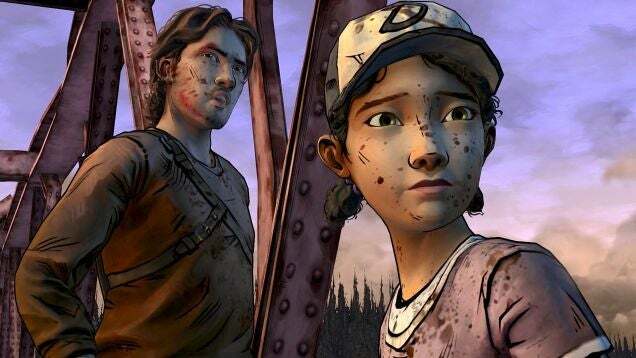 Has it been as much of a mess as Telltale's other games? Many Xbox one users were unable to transfer their saves from episode one to episode two. Telltale acknowledged the problem, and last Friday said a patch would go live in the next seven to ten days. On iOS, the second episode was so buggy as to be described as unplayable by most App store user reviews. Telltale acknowledged the problem, and a patch went live last Friday. The patch fixes the lag issues, but other issues remain. Of all of the posts I've read, one stands out: A recent post by user SammyTheDamed. It's titled Enough! Telltale we DEMAND a response! GoT Ep2 glitchy mess on iOS, etc. "You have thousands upon thousands of customers who trusted you and purchased a season pass," he writes, "placing faith you would deliver at least functional product. You have failed and refused to acknowledge the buggy, glitchy, stuttering debacle that is the iOS release of GoT ep2 and the myriad of problems. "This is inexcusable and a slap in the face to your customers. [...] You want to be a jerk to your customers Telltale? Fine, your choice as a company. But I will be vocal, and will no longer trust your 'season passes'. You have lost my trust and respect as a consumer." To me, the harshest thing about that post is the "etc." in the title. That "etc." contains all of the problems I've listed in this article and then some. It says, more or less, "I am angry about this problem, but also all of the other problems everyone here has had to put up with over the years." Everyone already knows what he means, so he only has to say, "etc." "I have been ignored by their support for over a month now," writes a poster in another thread. "Do yourself and all gamers a favor and do not support them anymore. They could care less, cause they already got our money..If you think I'm a troller..Look it up on their community boards and blogs. They been doing this for over a year now, and they wont refund you or compensate for your issues. Wish I would of known this ahead of purchase." For their part, Telltale appears to have tasked one guy with responding to every user on the support forum. He goes by "Telltale Mike," and you could not pay me enough to do his job. "I sincerely apologise for the inconvenience," he writes at the start of most of his posts. I find myself wondering how many of his nearly 10,000 forum responses begin with those words. Telltale Mike does a heroic job of responding to every poster that he can, and from time to time, he really is able to help someone get their game working again. But often as not, his apologies and suggestions are left hanging. "I emailed Telltale Games Product Support 10 days ago on January 29th regarding an issue with my Walking Dead Season 1 game," writes a poster who has titled his thread "Dissatisfied Customer." "I still have not heard back from them. I am extremely dissatisfied with their service regarding this topic." "Your just now realizing that telltale does not care about us?" a second user chimes in. "I sincerely apologize for the delayed response," Telltale Mike replies a bit further down in the thread, offering a stock response I've seen him use elsewhere: "We have had an overwhelming amount of support emails after the launch of Tales From The Borderlands and Game of Thrones, and we are working hard to answer every one. If you have not heard back yet, you should be hearing back soon." Last Thursday, I sent Telltale PR a few questions about all this: Is it fair to say Telltale has garnered a reputation for buggy games? Do they think they're doing enough to respond to people posting to their support forums? What would they say to reassure people that buying a season pass from them isn't a bad idea? They got back to me to make sure I'd seen the new patches for Game of Thrones, but never sent responses to any of my questions. 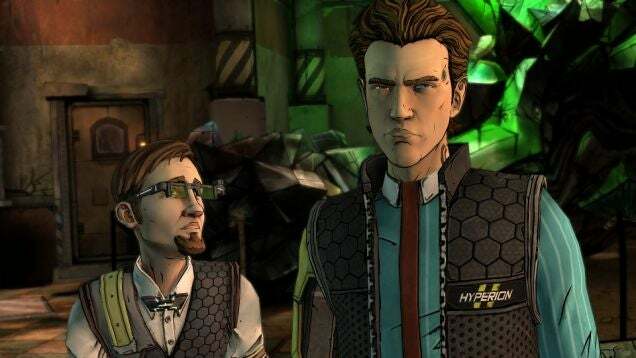 Tales from the Borderlands is full steam ahead to its next episode. Game of Thrones is just getting cracking. The Wolf Among Us is starting to feel due for a second season. And the just-announced Minecraft adventure game is on the horizon, too. With so many plates spinning at once, it's difficult to imagine how Telltale could also take the time to patch up their foundations. But that doesn't mean we can't ask, and hope, that they do.